Y SUGARCOAT? : Thicker or Thinner? Beyonce def looks good thicker...in dream girls she lost so much weight and it was nasty. Toccara looks better thicker. Tyra looks better medium...in her super model days she was too skinny. Lindsey Lohan, Nicole Richey DEF look better with more meat. 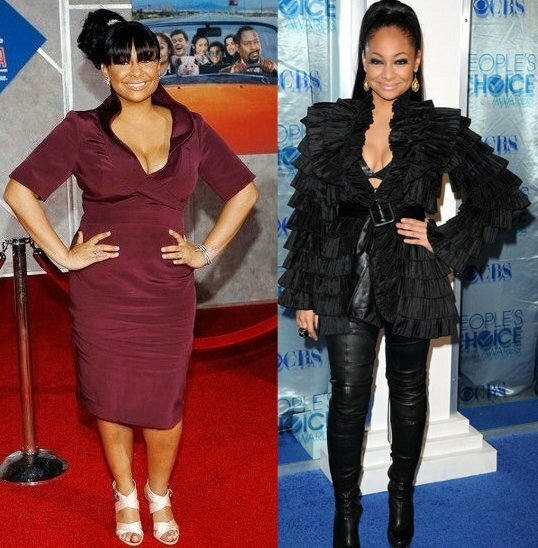 WTF happened to MYA...she is a cheeseburger away bruh...def better thinner. Amber rose is flirting with maybe being kinda fat. I think Jennifer Hudson looks amazing thinner! Almost all of these women look better thicker. Minus Jennifer Hudson and Mya. Mya used to be my baby mama but DAMN she packed em on! The crazy thing is Mya's whole upper body looks the same in both pictures. Her legs are straight out of control when she gets thicker. YIKES! am I the only one who thinks Tyra looks better thicker and Nicole Richie better thinner? Everyone should embrace their weight. No one should tear them down by saying they look bad fat or skinny. Mya looks fat now...Amber needs to be careful..toccara looks better with meat but I know how hollywood will do that to you...Jennifer hudson looks way better smaller...tyra looks good both ways...bey looks good both ways too but I like her with meat on her bones...nicole richie is too damn skinny now, but she was also sloppy looking when she was heavier, so she needs a medium. I think they all look better thinner except for maybe Amber Rose. I like her a little filled out. Most of them were not that big thick. Their thick doesn't compare with the thick most women are these days. I think Beyonce's upper body looks better in the thinner picture, she is hiding her stomach, but her legs look better in the thick one. Toccara and J Hud look better thin IMO. I think what makes Toccara look worse in her thin pic is the unflattering hair style. her body is definitely better. Amber Rose and Mya look real good in the thin pics. At the end of the day, its not healthy to be obese or underweight. We don't have to embrace either. Healthy life= healthy body and most Americans don't have one of those, thus the weight issues.